World Wide Waftage - Wafting Through Our World Wide Travels with Ease, Joy and Simplicity: Its a small world after all...Aloha!...Our video history...Tom's last night sunset photos! Its a small world after all...Aloha!...Our video history...Tom's last night sunset photos! This was our favorite sunset photo of the evening, taken last evening from our veranda in Fairlight. Of course, I'm also partial to the Kookaburra sunset photo below. Last night, I happened to check my email before heading to bed. Much to my surprise and delight, there was a message from YouTube stating there was a new comment on one of the many videos we've posted over theses past years of travel. 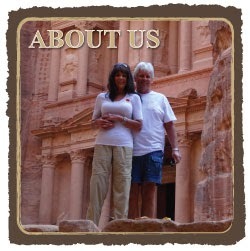 For all of our travel videos, please click here. Some are rather funny which our newer readers may enjoy. We've received lots of "likes" on many of the videos. Please keep in mind, I'm not the best at taking videos so we ask for your patience in viewing ours. Quite a view of the sky during sunset last night. Kindest regards, Jess & Tom"
We couldn't help but be thrilled to hear from one of the brave coconut tree trimmers we'd videotaped over two years ago in a post we'd uploaded while in Maui Hawaii from October 15 to December 1, 2014. It was these two videos which precipitated the above commenter writing to us when he must have stumbled across them while searching YouTube for coconut tree trimming videos. Ha! Small world, eh? It's the magic of technology that brings readers and viewers to us over the years that continues to enhance the quality of our own personal experiences. Whether we meet a future reader in person while living in distant places who later connects with us online or, in the case of most of our reader email and comments, it's a result of their own perusal online when they stumble upon us. The sun's bright array rims these clouds in the horizon. Based on the fact that we do little online marketing and promotion for our site and over 1700 posts to date, that we have well over 528,000 reads to date on our site. In the realm of the Internet, it's a paltry number. In our world, it's more than we ever imagined. We're grateful for the opportunity to share even a morsel of our worldwide experiences with readers from all over the world as our site continues to grow year after year. The sun's ray peeking through the clouds creates quite a photo op. If we were intent on making a lot of money from our site, we'd approach it differently. But, that is not our goal. If we did so, it would change the nature of what we do exponentially. And, it's the simplicity and ease with which we write to YOU each day, that enhances our personal experiences in many ways. This is greatly increased when we hear from our readers by commenting at the end of any day's post or writing to us via email. We love it all. We're always looking for these sunset shots which Tom captured last night. Yesterday, we took off on the bus to Manly to walk the long distance to the end of the outdoor mall, the Corso, to have a look and take photos of beautiful Shelly Beach. By the end of the day my new Fitbit, the warranty replacement that arrived in the current shipment from the US received on Tuesday, read a little over 10,000 steps. I was thrilled, to say the least. Tom, not an enthusiastic walker, didn't give it much of a thought. We don't have a clear shot of the sun going down but the sky offers quite a show. We took tons of photos which we'll share over the next several days. Right now, we have more photos than we'll be able to share during our remaining two weeks (as of today) in Fairlight. And yet, we'll continue to explore and share the photos as we go. Today, we're attending an viewing for the eventual auction on April 22nd, for the multi-million dollar house next door. We'll take plenty of photos which we'll share in tomorrow's post. You'll be shocked by pricing in Australia! Please check back. Kookaburra on the power line while Tom took sunset photos. Thanks to "AucklandHard" (whatever that means for a guy in Hawaii) for writing a comment on our video and please, no matter what, stay safe climbing those tall coconut trees in Maui. This post from one year ago today is the first leg of the "back to back" cruise on the Celebrity Infinity, which we'll board after leaving Costa Rica (Central America) on November 22, 2017 (19 months from now). We'll fly to Fort Lauderdale where we'll spend one night, boarding the cruise the next day. This will be our first foray into South America. We're enthused about going through the Panama Canal a second time from the opposite direction, seeing the new locks for the first time. For more details, please click here.